Losing a football match is hard to take; losing to a lower league team that you’re meant to comfortably beat is simply sickening. 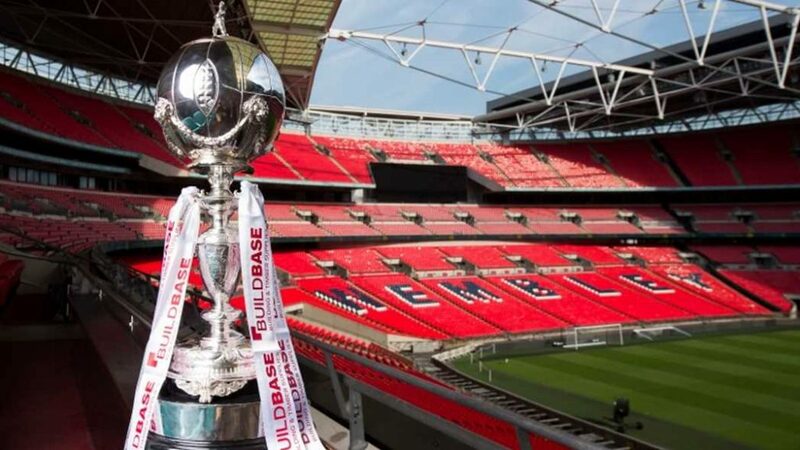 The problem with being the ‘superior’ team in a cup match, in this instance the FA trophy, is that the pressure is all on you. If you win then it’s expected, however, if you lose then eyebrows are raised and questions are asked. The hardest aspect of playing against a lower league team is not the game itself, but the mental challenge that comes before kickoff. Without realising, an over-confident and complacent state of mind can creep in and affect the team performance. Also, the lower league opposition often raise their performance for the occasion, playing without pressure or expectation on their shoulders. That is why this year alone, Bristol City beat Manchester United in the Carabao Cup, Nottingham Forest beat Arsenal in the FA Cup and unfortunately, Warrington beat us in the FA Trophy. A tough 1-1 draw led to a replay three days later against the Northern Premier League Division One North side. After a heavy Christmas period, the extra fixture in midweek was definitely not what we had hoped for. Warrington frustrated us by disrupting our usual free flowing football and deserved a second match at Cantilever Park. Having lived in St Helens for many years, I was not surprised to be welcomed back to the North by a light drizzle of rain and a strong, cold wind. We knew that the match was going to be far from a spectacle of football but we prepared in our usual way and focused on the task at hand. Once again cup football proved to be unpredictable and we dropped out of the competition, suffering a disappointing 2-0 loss. The defeat means we are no longer in any cup competition so our attention is now completely fixated on making the playoffs in the Vanarama National League, a campaign that took another step forward at the weekend. Unbeaten in their last five games, Aldershot lie in second position and over the festive period, managed to close the gap on league leaders Macclesfield. After ending our unbeaten start to the season, we hoped to return the favour to Gary Waddock’s team by halting their recent progress. The match ended 0-0, but despite the lack of goals the game was an end-to-end encounter, which was fast paced, tactically balanced and a great advertisement for the Vanarama National League. Although we could not quite find the winning goal, we were pleased with another clean sheet and a valuable away point to back up our recent derby win at Maidstone. Our shock cup exit undoubtedly added to our motivation and the brilliant performance at Aldershot was definitely the answer to forgetting the pain of the FA Trophy.